The LifeMiles Visa Signature Card from US Bank now offers 35,000 bonus Avianca LifeMiles after $2,500 in purchases within the first 90 days of account opening. This increased offer expires December 31, 2015. 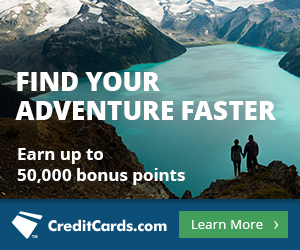 The normal bonus on the card is 20,000 miles, though we saw a 40,000 mile bonus in 2014. U.S. Bank Caveats: You may be approved for a lower bonus card without your consent. U.S. Bank is tough on approvals. LifeMiles are awesome because you can redeem them on any Star Alliance airline on lifemiles.com with no fuel surcharges on a pretty reasonable award chart. You can only have layovers of up to 8 hours instead of the standard 24. LifeMiles call centers are bad if you can’t book online. The LifeMiles Visa Signature Card from US Bank offers 2x on Avianca purchases. Avianca processes the sale of LifeMiles, so the card offers 2x there, though of course the Citi ThankYou® Premier Card and Citi Prestige® Card offer 3x on those purchases. The LifeMiles Visa Signature Card from US Bank has a 3% foreign transaction fee. Don’t use it abroad and don’t even use it for dollar-denominated purchases online that might be processed abroad. 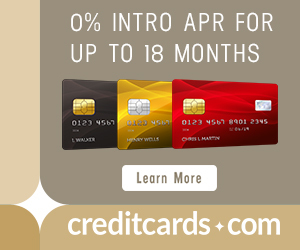 The card has no annual fee for the first 12 months and $75 thereafter. You do get 6,000 LifeMiles every year on renewal, which to me exactly offset the $75 annual fee. There are three products you might be approved for when you apply for the LifeMiles Visa Signature Card from US Bank, based on your creditworthiness. It sure would stink to get approved for the LifeMiles Visa (not Signature) with only 25,000 total bonus miles or LifeMiles Secured Visa with only 5,000 total bonus miles. U.S. Bank is tough on approvals. Lots of credit card applications in the last year or two, even with other banks can disqualify your application. This card is interesting because it is the only way to earn valuable LifeMiles other than purchasing them. It’s also great because it comes from a bank other than American Express, Barclaycard, Chase, and Citi where you may have made many more applications. The problem is that the bonus isn’t humungous–it’s nowhere near my Top Ten List of Offers–U.S. Bank may approve you for an even worse offer, and may not approve you at all because it can be tougher than the other banks. Avianca Publishes Cheaper Award Prices for Domestic Awards: But are they Theoretical? Do you know if this card is churnable?